Today, Horacio Pagani revealed exclusively to GTspirit, the first production Pagani Huayra destined for a customer in the Far East. The first customer Huayra has chassis number 003 and features a silver colour scheme with contrasting Gold Zonda R style wheels. Chassis number 001 and 002 are the official cars used at Pagani introductions around the world including the red one currently seen at the Asian introductions. Next week Pagani will display the red Huayra at Top Marques Macau. 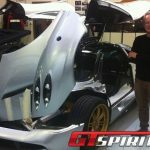 GTspirit got a personal tour of the factory by Mr Pagani with explanations of the development and the build process of the Pagani Huayra. 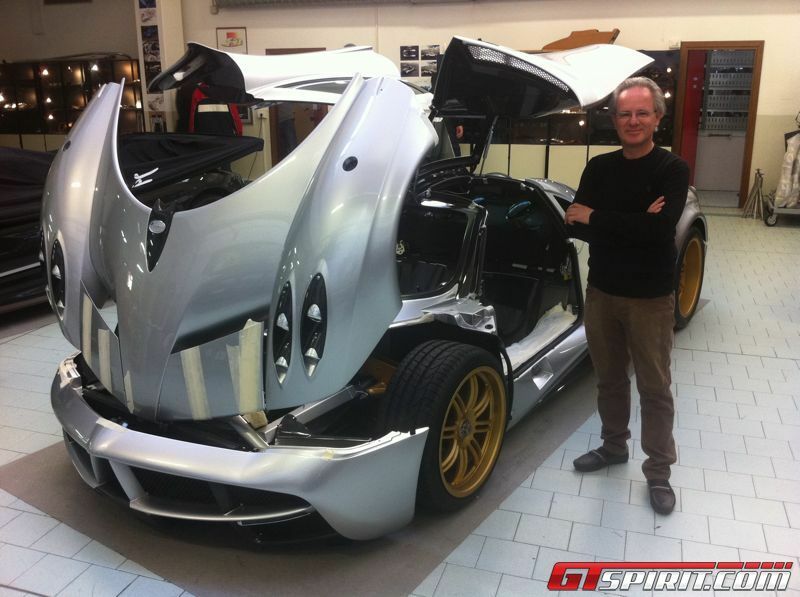 He explained the small details such as the specially designed titanium bolts and screws that all carry the Pagani logo. Pagani have also designed and developed wheel casings that are 30 per cent lighter, yet 30 per cent stronger than traditional wheel casings used by other manufacturers. As you will see from the picture, the first customer Pagani Huayra has a set of Pagani Zonda R alloy wheels as per customer request. Delivery is scheduled for December 2011 / January 2012 and the car is right-hand drive for a market in the Far East. Besides this first customer car, the two official introduction Huayra’s there are three prototypes still used around the world for on-going testing. 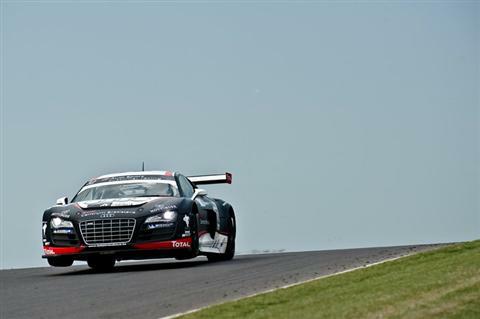 The second customer car is also in the assembly area and scheduled for Q1 2012 delivery. Works on three other Pagani Huayras has also commenced but they haven’t reached the assembly area yet. 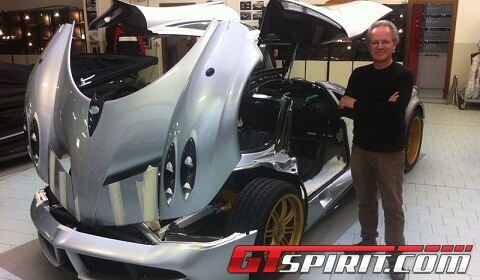 At the moment, the final touches are being applied to the last two Zonda R’s. With these final two the limited series of fifteen Pagani Zonda Rs has been completed. 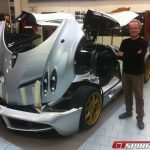 Once these are finished, the focus at Pagani will shift to the Huayra with deliveries expected to continue throughout 2012. But fans of the Zonda don’t worry, Mr. Pagani told us that on special customer request a Zonda might still be build.